I was intrigued when I saw this pattern on Youtube. I have no idea what language this woman speaks but her video is very easy to follow. 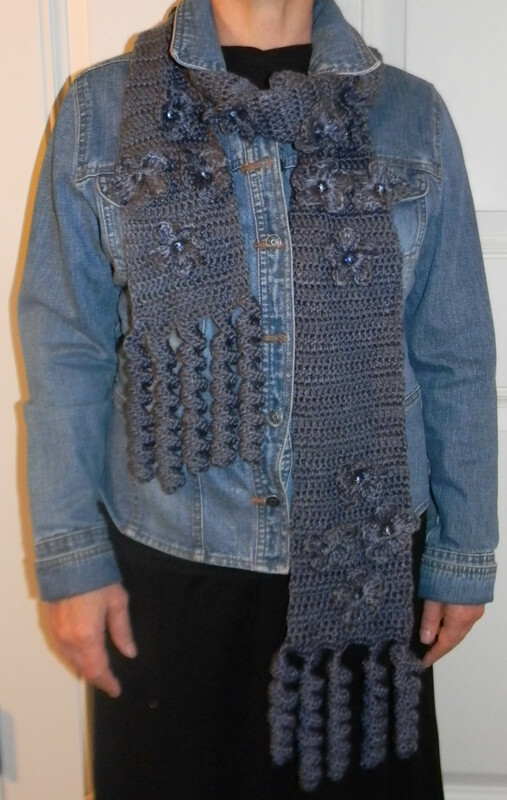 I used some Bernat Satin yarn, Denim Mist Heather, I had purchased on clearance at JoAnn’s and used a size H hook. 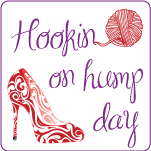 I chained 23 and then worked a total of 19 double crochets, 20 including the 3 chains at the beginning. I worked 4 rows before starting my first flower. *I completed 10 double crochets, crocheted a flower and then completed 10 more double crochets. I then crocheted 3 more rows and then did a flower row again. This time I crocheted 5 double crochets, completed a flower, crocheted 10 more double crochets, completed a flower and then 5 more double crochets. 3 more rows of double crochets and then back to *. I then crocheted 6 rows of double crochets and repeated these steps again. I decided to do curls instead of fringe. This was done by chaining 23, skip the first 3 chains and then doing 4 double crochet in each chain. I did a single crochet in the next 5 double crochets on the end of the scarf and repeating. This gave me 5 curls at each end. I then hand sewed a wrapped glass bead in the center of each flower. This really added a nice element. 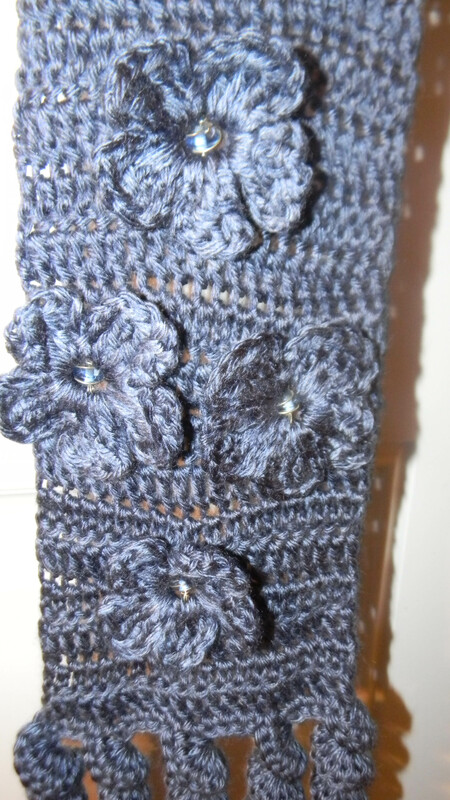 I am already crocheting my next scarf but making the scarf solid and crocheting the flowers in a variegated yarn. 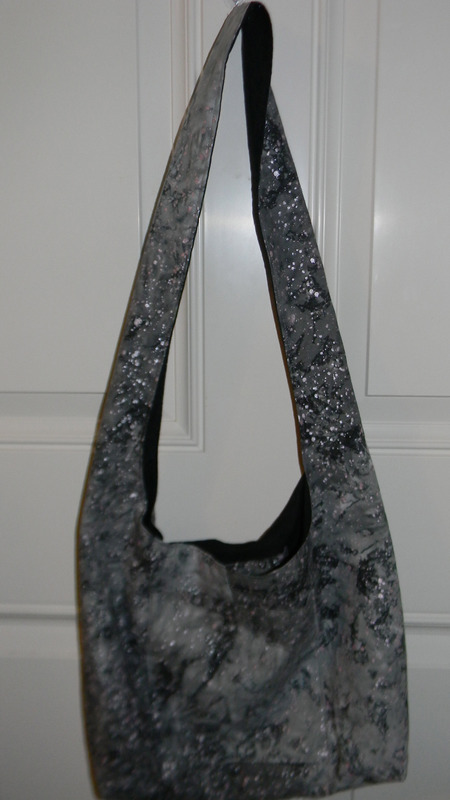 This scarf along with other items will be listed on my Etsy site for sale. Proceeds will go to Nana’s Children’s Home. 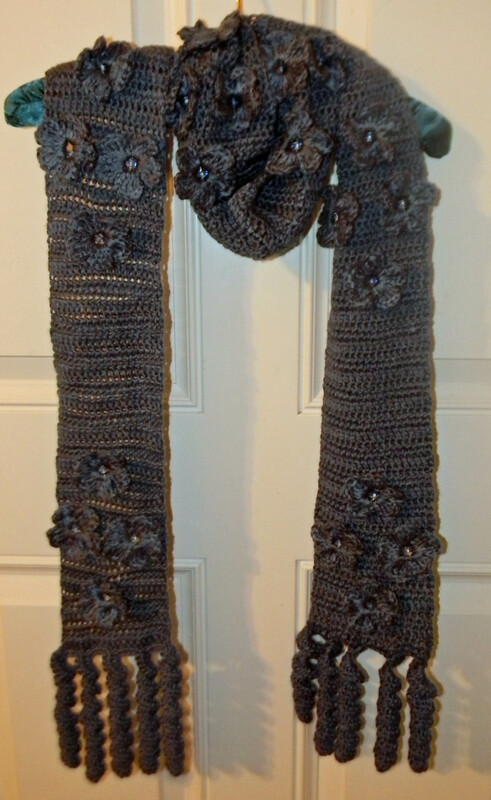 This entry was posted in Crochet, Posts and tagged Beaded Crocheted Scarf, crochet scarf, Crochet Scarf Pattern, Crocheted Flower Scarf. Bookmark the permalink.